I may not be an Army wife of a very long time, but I have been one for six years, and I have to say that the whole experience has been a spiritually learning journey. It is a true test for families and marriages when there are unnecessary stresses added upon the military that make no sense at all. While there are resources to help families or spouses during their struggles, it is pretty much putting a band-aid on a huge wound because that struggle puts a wound in their soul. Every military wife is different, but for me, I found comfort through church groups instead of our family readiness groups (which had too much drama). I have been dealing with anxiety and loneliness for a while. I may check my Facebook throughout the week, but I have never posted about me struggling with those things because I didn’t know how to talk about it. This year has been particularly a roller coaster year for our family, and that has taken a toll on my self-confidence and peace within my marriage. I became very insecure, anxious, impatient, and unmotivated throughout the year, and only a few people know about that. While I am getting over this with God in baby steps, I am seeing His good works each day. And, that’s the spiritual refreshment that I need. I love my marriage because it is MY covenant with God, and He is using my husband and I to become a devotion to each other through our everyday experiences. I started thinking recently that it is time to start writing again, and share a part of my struggles because I know that it is a message that a person is needing. While my title may be targeted towards military wives, the message holds true to anyone. I haven’t experienced any rudeness yet from a person who thinks “differently” of military wives, but I know that we are prejudged by others, even those who are within the military community. It makes me sad because who are we to judge when we don’t know what any person is going through in their personal life? This I know, my security comes from God, not anyone else. While that thought is easier to know than it is to realize during a struggle, I let the stress that was upon my husband get to me by becoming insecure as a wife and mom. To those who personally know me, I have always had confidence (not in a prideful way) because I knew God would allow me to succeed with His doing. But, when life became so overwhelming, it was almost just easier to believe the lies that was within my mind. But, in reality, that is the devil because, “we not wrestle against flesh and blood, but against the rulers of the darkness of this world, against spiritual wickedness in high places (Ephesians 6:12).” The devil preys on us whenever possible, and that is what causes tension. Over the past many months, I have been seeking to learn more of God’s word in an effort to allow God to fight the battle within me for me. About ninety percent of the time, I will use my super early morning wake ups as a devotion time because that’s the quietest time for me in the day. Once I realized that my insecurity was a result of the lies that I believed from the devil, I turned to God to bind the enemies the devil used to attack me spiritually. I reached out to a new sister in Christ to talk; which that is spiritual medicine for my soul that I needed. My devotionals I have been reading to help me refocus my eyes back on God’s grace has given me the spiritual strength that I needed to go about each day. I am blessed with so many things that God allowed for me- marriage, motherhood, family, friendship, and the ability to serve others in the midst of a trial. Serving others during a struggle really is medicine for the soul because it allows God to work on both individuals. 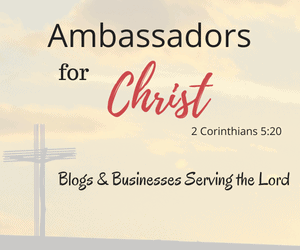 I wasn’t intending for my post to run a little long, but a blogging ministry is spiritually therapeutic for both the blogger and followers. I will leave this with you, no matter where you are in your season of life, know that God uses that to bring glory to Him in your next chapter. It’s refreshing to be back to writing again. Blessings to y’all. I for one am glad that He sees me in my struggle. I am glad, too. I know that whatever you are going through right now will not be left aside because God is fighting for you and will use you to bless others.